Passed in 10+2 Science examination with Physics and Mathematics as compulsory subjects along with one of the Chemistry/Biotechnology/Biology/ Technical Vocational subject with a minimum 45% marks (40% in case of candidate belonging to reserved category).For admission into 1st year B.Tech programme, a student has to appear JEE-Main conducted by CBSE. JEE -Main Entrance Examination is the only way to take admission into 1st year B.Tech Programme. Passed in three year diploma examination (two year in case of Lateral entry Diploma) in Engineering/Technology/ from State Council of Technical Education and Training (SCTE&VT), Odisha or from an AICTE approved Institute / from a recognized University as defined by UGC with at least 45% marks (40% in case of candidates belonging to SC/ST category) in appropriate branch of Engineering / Technology. A student has to appear O-JEE for taking admission. Passed Bachelor’s Degree examination of three years duration in Science from any University of Odisha or from a recognized University as defined by UGC, with at least 45% marks (40% in case of candidates belonging to ST/SC category) and must have passed XII standard with Mathematics as a subject. A student has to appear O-JEE for taking admission. Passed Bachelor’s Degree examination of minimum three years duration in any discipline from any University of Odisha or from a recognized University as defined by UGC and must have passed in Mathematics at 10+2 level or at Graduate Level. The candidate should have obtained at least 50% (45% in case of candidate belonging to SC/ST category) at the qualifying Examination. If the candidate has passed BCA / BSc (IT/CS/IST/ITM) with mathematics as a subject, he/she is also eligible for admission. There is no age limit to admission to MCA course. A student has to appear O-JEE for taking admission. Passed Bachelor’s Degree examination of minimum three years duration in BCA, B. Sc. (IT/ Computer Science/IST/ITM) from any University of Odisha or from a recognized University as defined by UGC and must have passed in Mathematics as a course at 10+2 level or at Graduate Level. The candidate should have obtained at least 50% (45% in case of candidate belonging to SC/ST category) at the qualifying Examination. Candidates who have prosecuted Graduation in BCA, B. Sc. (IT/ Computer Science/IST/ITM) with mathematics as a subject at 10+2 or graduation level in approved institutes of other states are allowed to take admission as per their OJEE rank. There is no age limit to admission to 2nd year MCA under Lateral Entry course. A student has to appear O-JEE for taking admission. Passed Bachelor’s Degree examination of minimum three years duration from any University of Odisha or from a recognized University as defined by UGC/AICTE OR Passed the Bachelor’s Degree in Engineering/Technology/ Architecture/Pharmacy examination of minimum four/five year’s duration in any discipline from any University of Odisha or from a recognized University as defined by UGC/AICTE. The candidate should have obtained at least 50% marks (45% in case of candidate belonging to SC/ST category) at the qualifying examination. 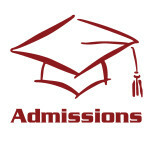 There is no age limit to for admission to MBA course. A student has to appear O-JEE for taking admission. Passed Bachelor’s Degree of examination (B. Tech)/MSc in the relevant field from any University of Odisha or from an AICTE approved Institute or from a recognized University as defined by UGC. The candidate should have obtained at least 50% marks (45% in case of candidate belonging to SC/ST category) at the qualifying examination. A student has to appear O-JEE for taking admission. We have opened our admission office at Jamshedpur at Flat No – S1/2, First Floor, Akashdeep Plaza, Golmuri, Jamshedpur-3. The office is in charge of Mrs. Trupti Paikray(07209298914).